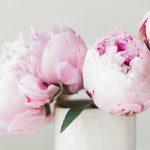 Organic beauty is my passion, so that’s why I rarely post about other things, like fashion, on this blog. 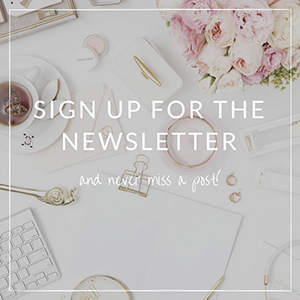 Also, I’m a simple girl who likes wearing jeans and my favorite sweater pretty much all the time, so some other topics aren’t as fascinating to me as beauty is. However, I enjoy sharing with you about the things I love, and my spanking new JORD wood watch falls right into this category. 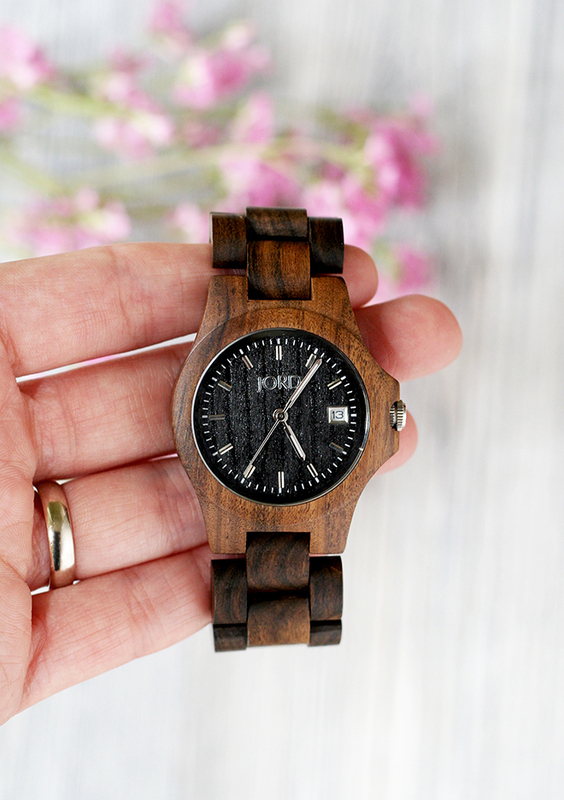 Meet Ely*, the cutest hand-crafted natural wood watch on the planet! Ely series actually have 4 shades available. The one I have is called Dark Sandalwood. It’s a dark brown watch with a round black face. These earthy colors make the watch look elegant and stylish. There’s also a cute, tiny window that shows date – I didn’t expect it to be so handy, but I have already peeked at it several times when filling some documents at work. Ely is the smallest watch (with its case width 37 mm) from all JORD watch series, which is perfect if you like smaller, subtle, and more classic watches. It is splash-proof but not waterproof, so I try to be careful with water when washing dishes or my hands. 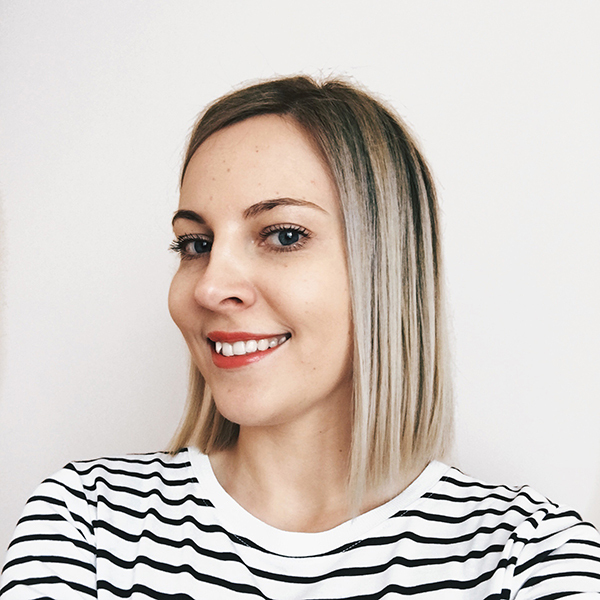 Like I mentioned before, Ely is versatile, easy to style everyday accessory, which gives my simple outfit some attitude. Also, I get a lot of compliments from other people, which makes me happy that it’s getting the attention it deserves. 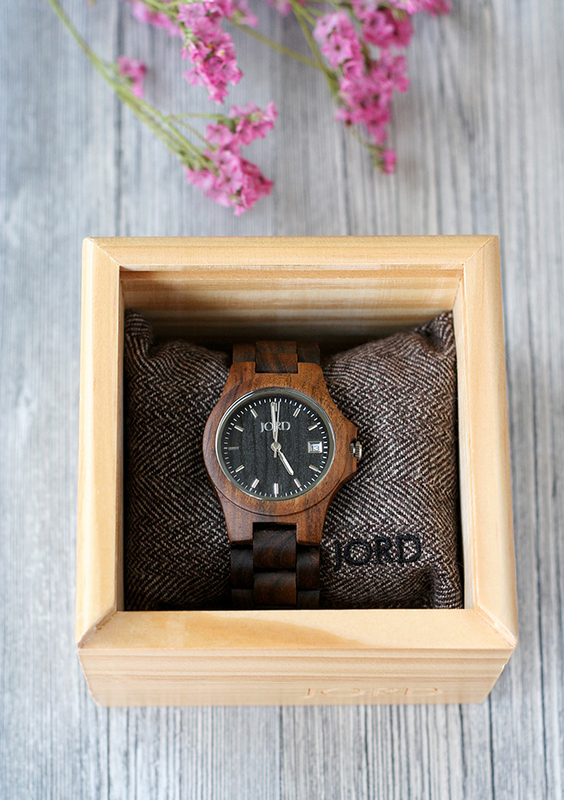 You can check out all JORD wood watches on JORD website. Which series do you like the most? Let me know in the comments! I love it, what a beauty! So eco friendly and unique. 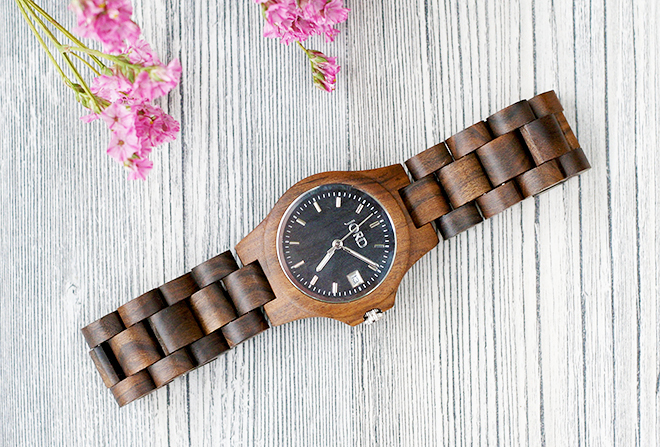 Looks lovely on you, very pretty pictures 🙂 I have Jord Fieldcrest Maple wood watch, i like to wear it, it is lightweight and interesting.